We're Opening June 15th 2019! 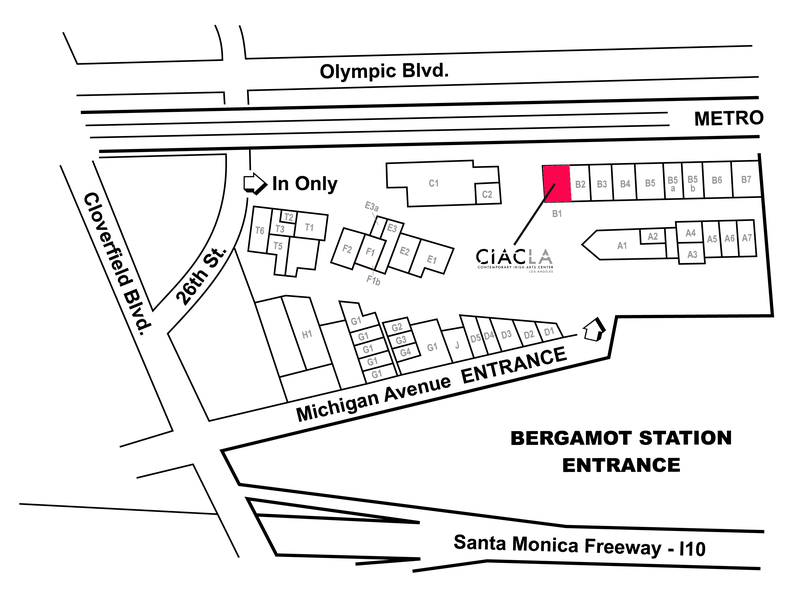 Location: CIACLA will be based in Suite B1, Bergamot Station, 2525 Michigan Avenue, Santa Monica, CA 90404. Free on Site Parking Available at Bergamot! We are 2 minutes walk from the 26th St / Bergamot Metro Rail Station. For Proposals of events / activities please complete our form below.